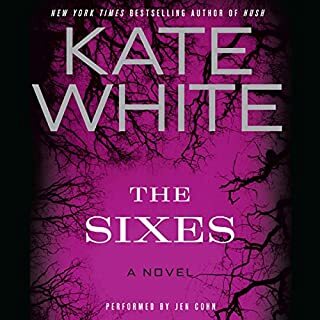 This is probably my favorite Kate White novel so far. I was constantly guessing who the killer was and nearly guessed every character at one point. Awesome! It left me wanting more! Yes. She's great. I've listened to her read books by other authors as well. I'm always impressed. I loved it! I hope there's more with Libby, because I feel like there's so much more that could done in the future with everyone. Some of the characters in the Half Moon Hollow series could be one and done books, but Liberty's story is not done in my opinion. Captivating! Was on the edge of my seat. 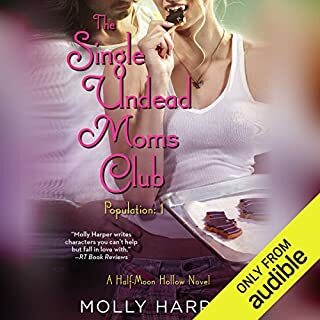 This is the first Molly Harper book, without a supernatural theme, that I've listened to and I was not disappointed. I normally listen to audiobooks when I'm driving or doing housework, but the story kept me on the edge of my seat so much that I listened all night just to find out what was going to happen to that lowdown dirty ex-husband. I wish that there was a second part to this book that followed Bumblebee and the Stinger! That would be awesome. The narrator has a unique voice and always draws me in. 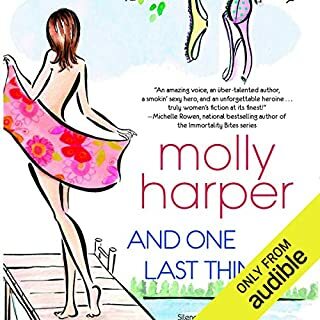 I'm glad she is used for all of the Molly Harper books that I've listened to.